Do you enjoy small game hunting, upland bird hunting? The month of October is one of the most beautiful times of the year in Patten. Frosty mornings, sunny days, colorful foliage are here in Patten. 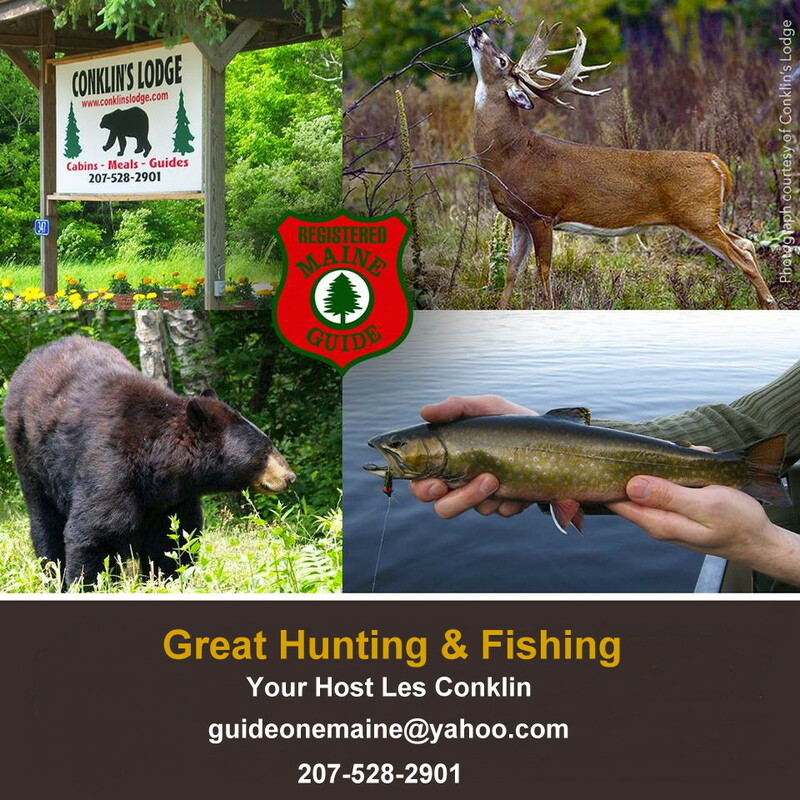 With thousands of un-posted acres and hundreds of miles of dirt roads, our customers enjoy 6 nights / 5 days of hunting in one of the most beautiful areas in New England. 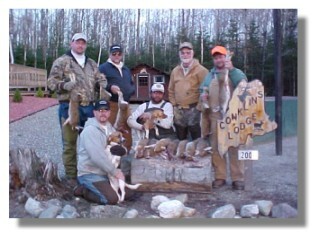 We offer 2 packages for this hunt. Enjoy a cozy bunkhouse cabin with electricity, LP heat, wifi, and cable TV. During October our central kitchen and rec area are open so you can enjoy cooking and grilling and gathering with fellow hunters. Our central bathhouse is located just a short distance from your cabin. We take great pride in the cleanliness of our facilities and strive to make your stay an exceptional experience. The price for this package is $45 per person per day - minimum of 2 persons. During October this cabin is available for those looking for all amenities of home. Living room with cable TV, wi-fi, a large bedroom that sleeps 4, a fully equipped modern kitchen and a large private bathroom. The price for this cabin in October is $350 per person and we require 4 persons. All hunters must bring towels, sleeping bags and pillows. You must purchase a Small Game Hunting License. Guides are available on a daily basis if you wish to hire one for up to 4 persons for $225 a day.